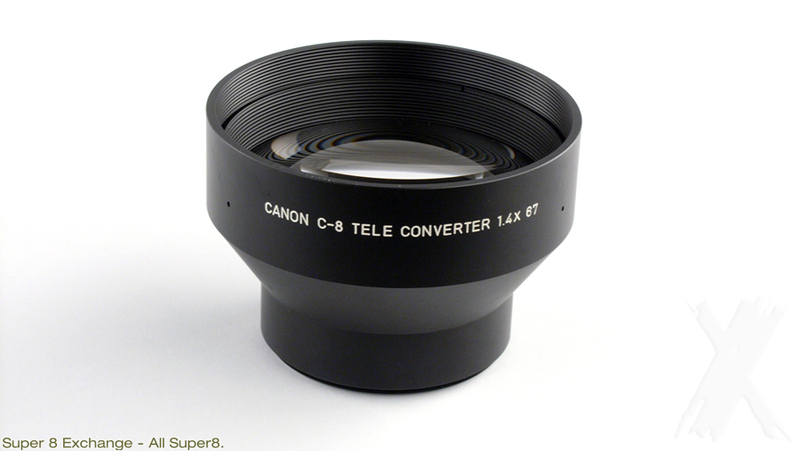 Special supplementary lens for the Canon 1014 XL-S and 814 XL-S movie cameras for the purpose of multiplying the zooming range of the cameras 1.4 times. Maximum focal lenght is increased then. Screw-in mount type, 67 mm thread. For 814 XL-S use the step up ring 62-67mm first. Comes with pictured accessories.